At 13 years old, Ted Dennard was already a beekeeper. Under the mentorship of an elderly beekeeper, Roy Hightower, Dennard began tending to 30 beehives located within his family’s 100 miles of forested land near St. Simons Island, Georgia, where he grew up. “I just knew I loved honey at that point and thought bees were cool,” says Dennard, who jokes that he’s not sure if he continued to follow the bees throughout his life or if they followed him. While studying philosophy and religion at the University of the South in Sewanee, Tennessee, Dennard continued learning about the art of beekeeping from his landlord, who happened to have bees. And then after graduating in 1989, he joined the Peace Corps. The organization asked him to teach beekeeping in Jamaica, which he did for two years, working with more than 100 local beekeepers. Bees were in his blood, but business was not yet on his brain. “I was wondering what to do in life and wishing I had studied something practical in college when I started selling a few bottles of honey to local stores,” he explains. Top specialty stores like Dean & DeLuca began to take notice and place orders, and it dawned on Dennard that he could have his bees and make a living, too. He founded Savannah Bee Company as a wholesale business in 2002. Today, Dennard lives in Savannah with his wife and has four kids. 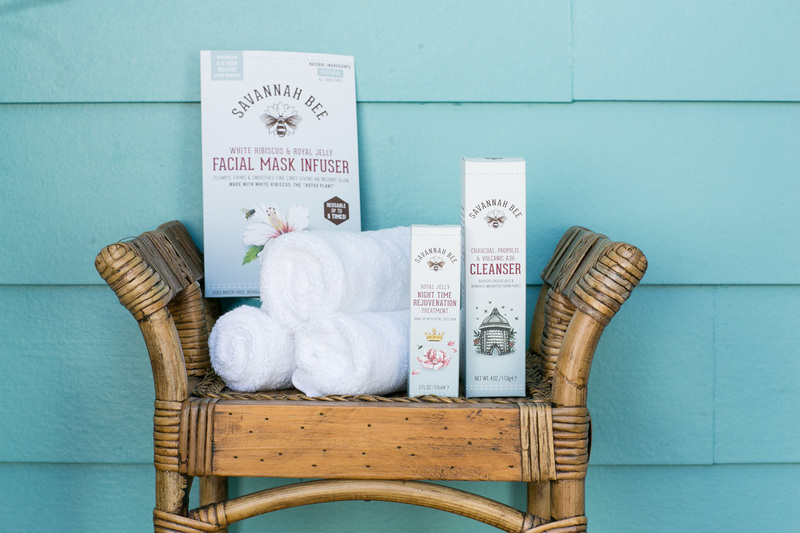 Savannah Bee Company now offers a host of honey and beehive-derived products, including a natural body care line. The merchant has 10 brick-and-mortar stores, including a 2,944-square-foot space that recently opened opened at Westside Provisions District, as well as an online shop and wholesale arm that sells to thousands of independent retailers. Here, Dennard chats about the new store and his buzz-worthy passion. 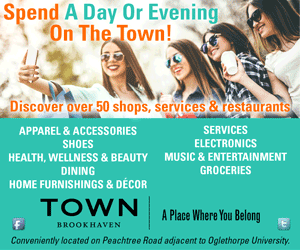 Why did you choose to open up shop on Atlanta’s Westside? Atlanta is the capital of my state, and the capital of the South in my mind, so it made sense as our next step [after Savannah and Charleston]. The Westside is a hip, great area of Atlanta. How would you describe Savannah Bee’s esthetic and offerings? What I want is for the store to have a general store kind of feel, but I also want it to feel timeless and modern. The store in Atlanta is our best-looking store, beautiful and functional. There’s a body care area where you can test soaps and wash your hands, a honey bar and a mead bar where you can drink honey wine. In the future, I’d like to introduce food service items such as honey buns, honey lemonade and hot biscuits with honeycomb in them. Why did you decide to create beauty products? As a beekeeper, you learn by osmosis from having honey on you. You rinse it off with warm water and your fingers are squeaky clean; you learn honey kills bacteria and is used for wounds and burns; and then read books where really old recipes are using beeswax and things that people have used for millennia to create salves, balms and all kinds of stuff. And you have a lot of beeswax left over from honey production. I put it in a crockpot and tinker around. I’m always trying to create something new. Do you have a favorite product that you offer? I love our lip balms, especially the Earl Gray, an original flavor that I made, which has bergamot and lemon. Bergamot is a mood enhancer. I also love our Royal Jelly Body Butter. Royal Jelly is what the queen bee feeds on to turn herself into a queen from a worker bee. It contains multivitamins and makes your skin more elastic and promotes collagen production. I even put the body butter in my hair after a shower so it doesn’t get frizzy, and I use it as aftershave. My wife goes head to toe with it. Why are you a spokesperson honeybees? The bees, and I believe therefore us and the world, are in peril right now. Bees are under threat and they have such a huge impact on us, touching thousands of plant species and animals, our food, oxygen production, cross pollination—there’s a gigantic, positive ripple effect. Without them, the world will be a much duller place and we will all be in trouble. The other thing is that they are these unsung little heroines that are out there doing beautiful work. It’s poetic and people need to see it. I think it gives you a window into a broader world and creates meaning.